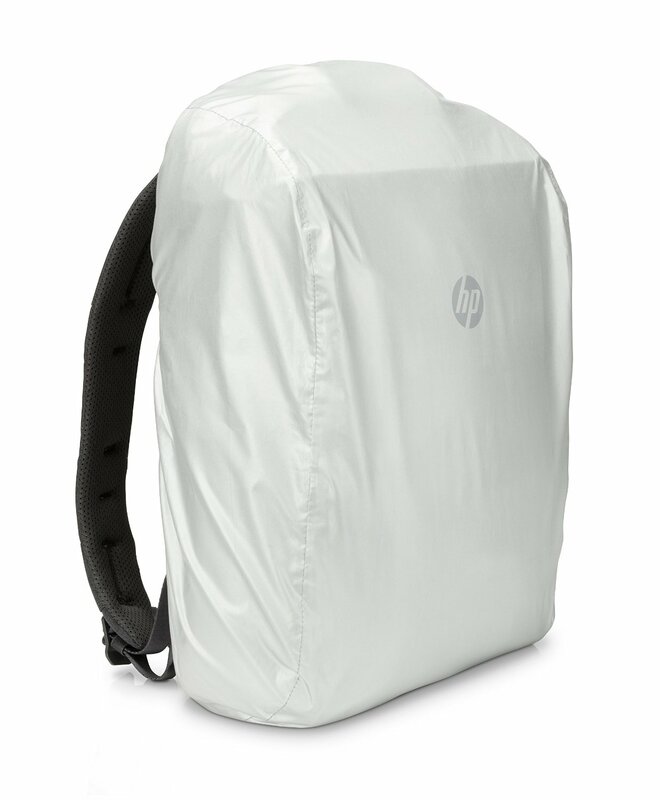 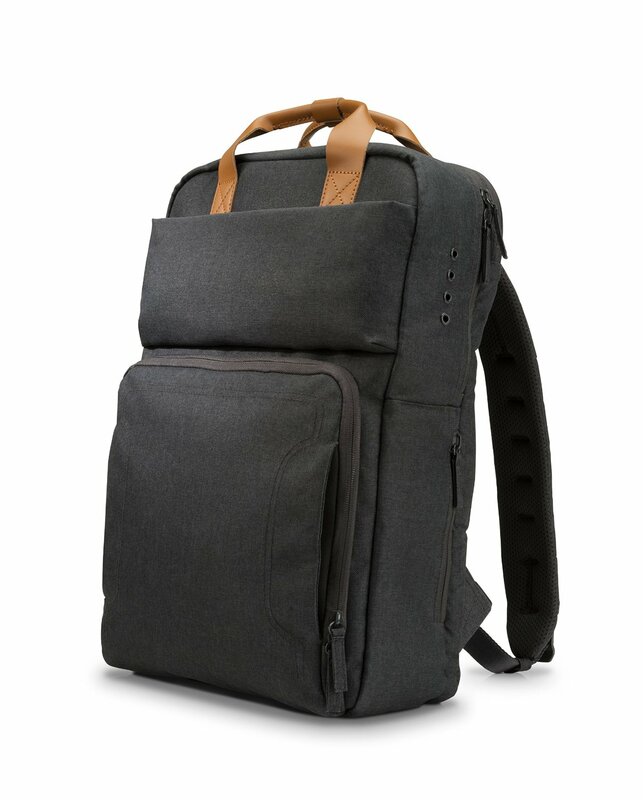 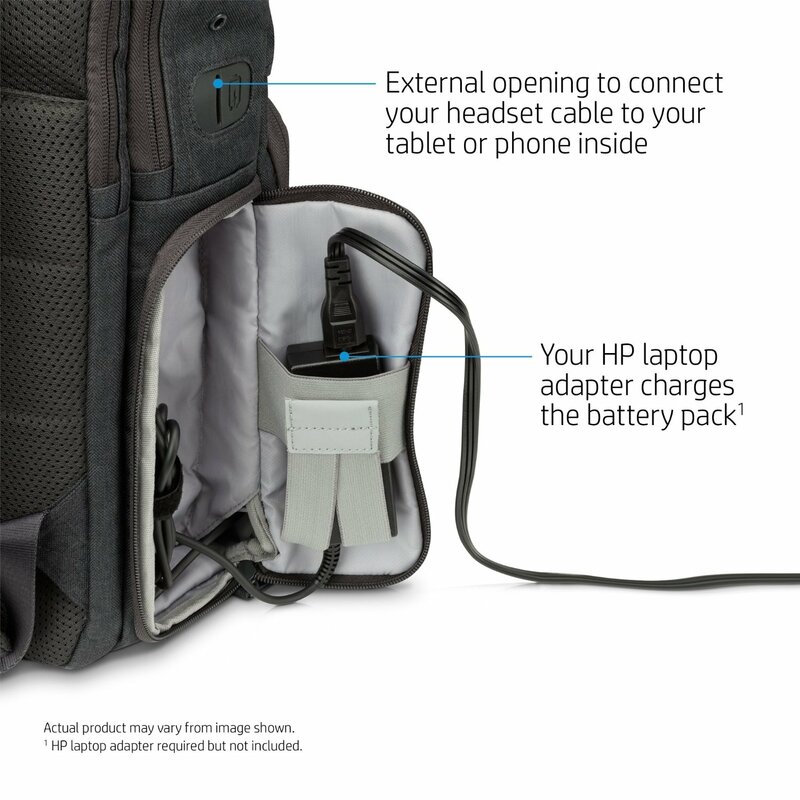 HP recently announced its new Powerup Backpack which supports HP devices. 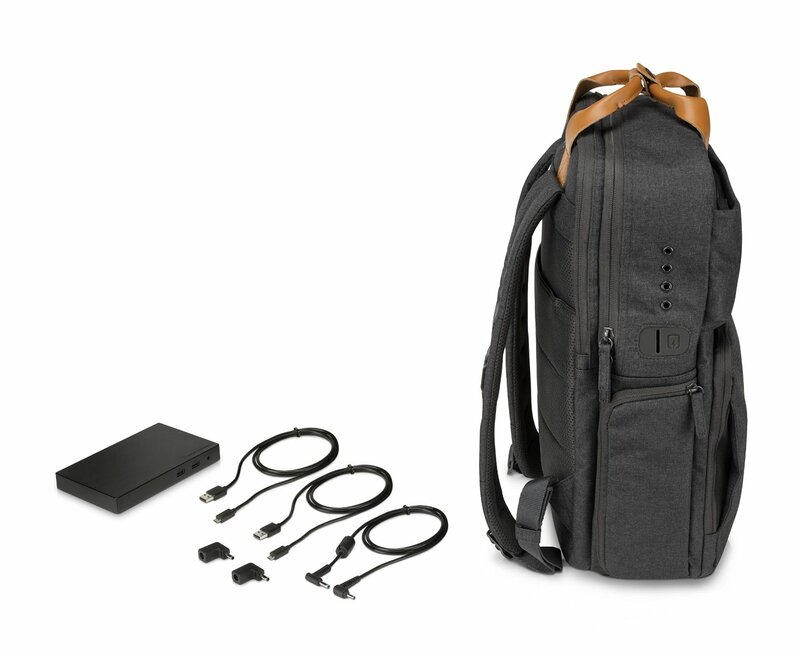 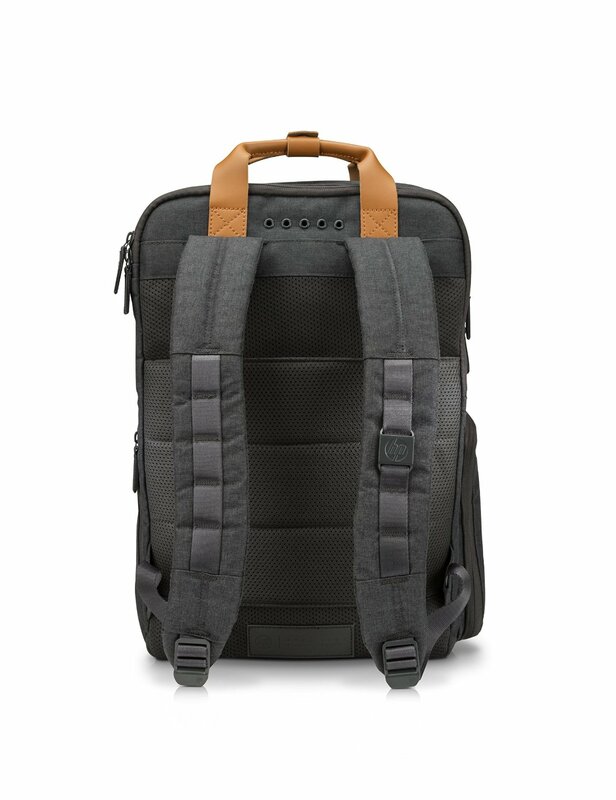 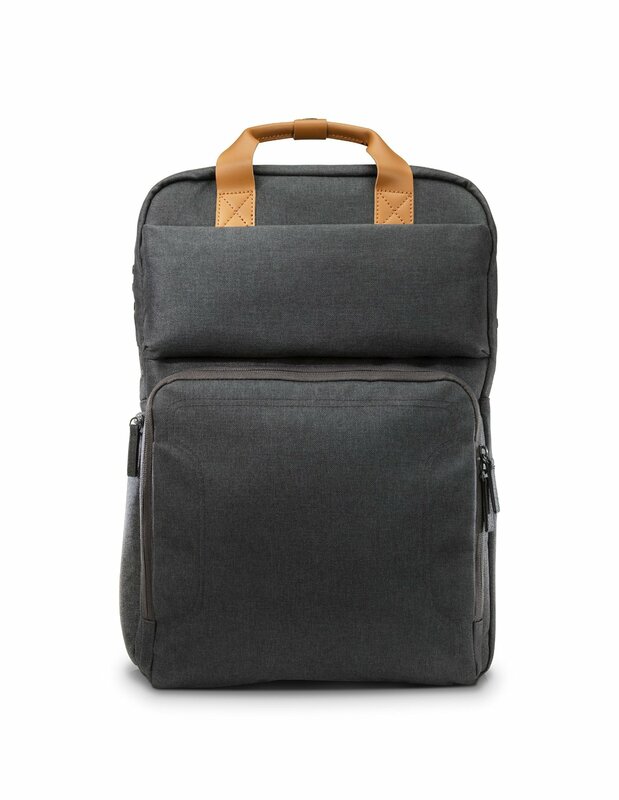 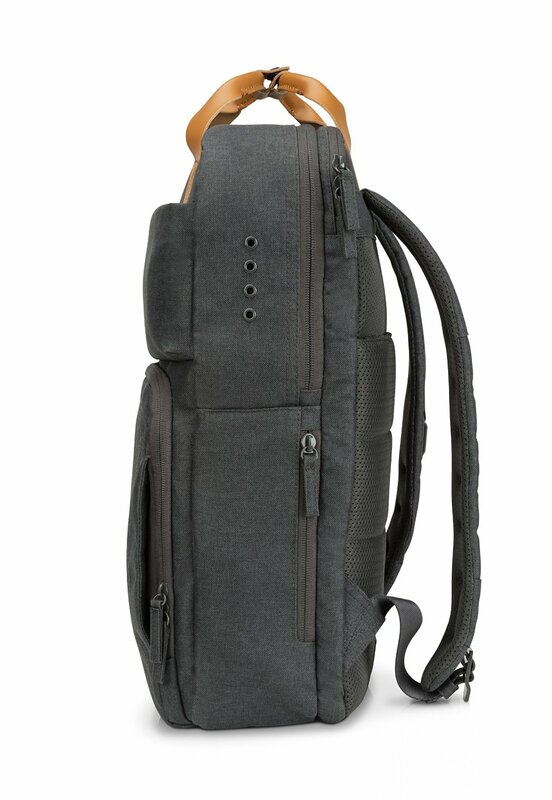 This backpack has a built-in battery that allows you to charge your laptop, tablet, and smartphone wherever you are. 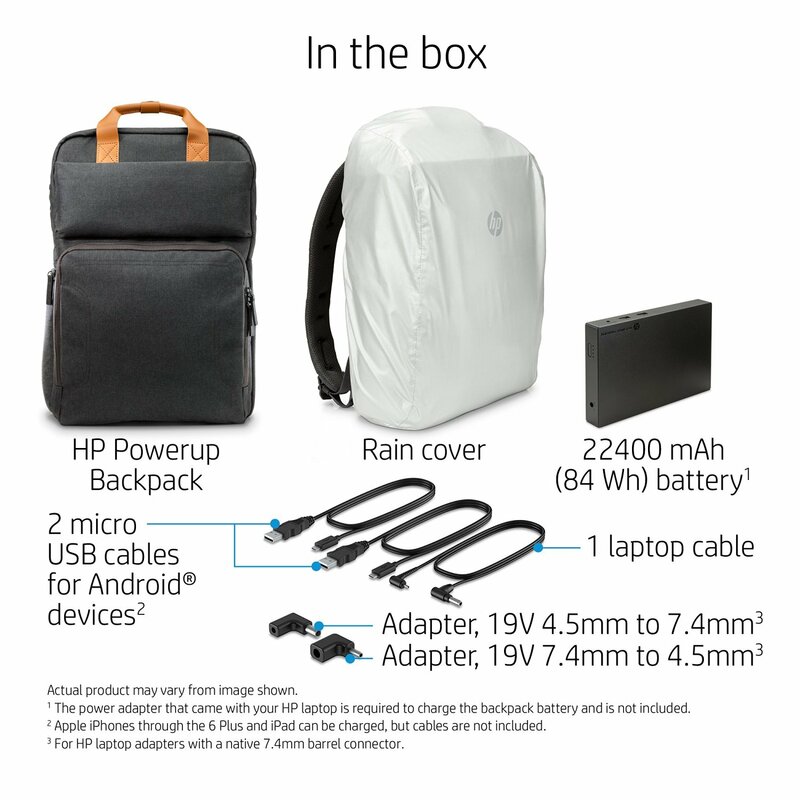 Since it comes with high-capacity 22400 mAh battery, you can charge your smartphone up to 10 times. 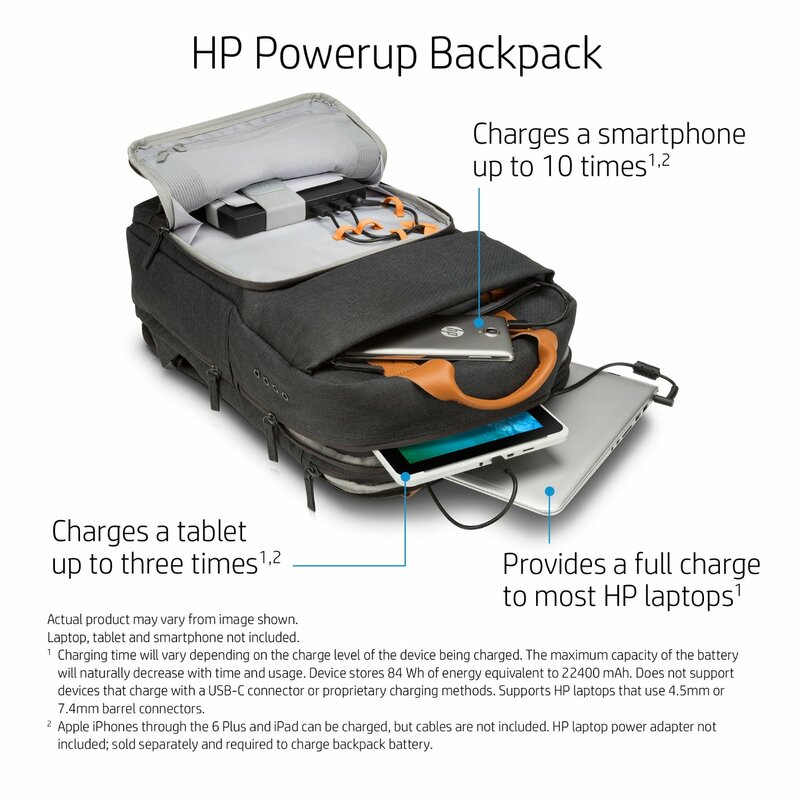 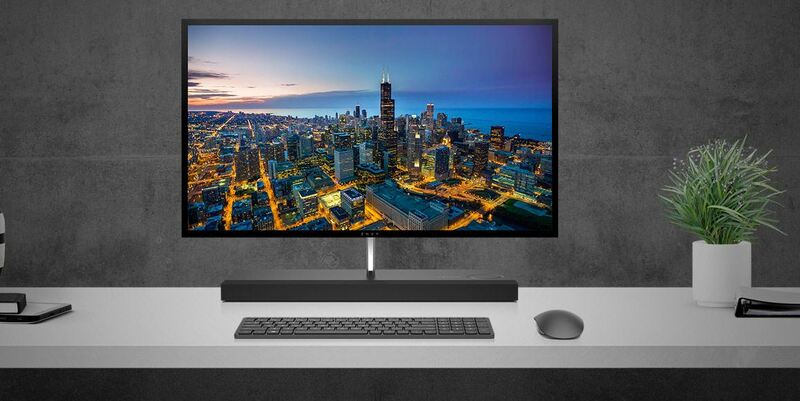 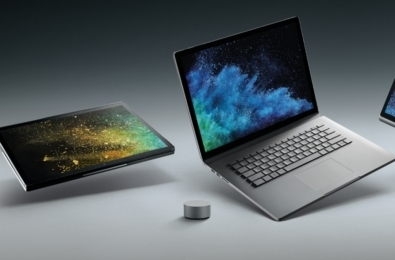 Big power for 3 devices: Charges most HP Laptops with up to 17.3″ diagonal screen size, a tablet, and a smartphone. 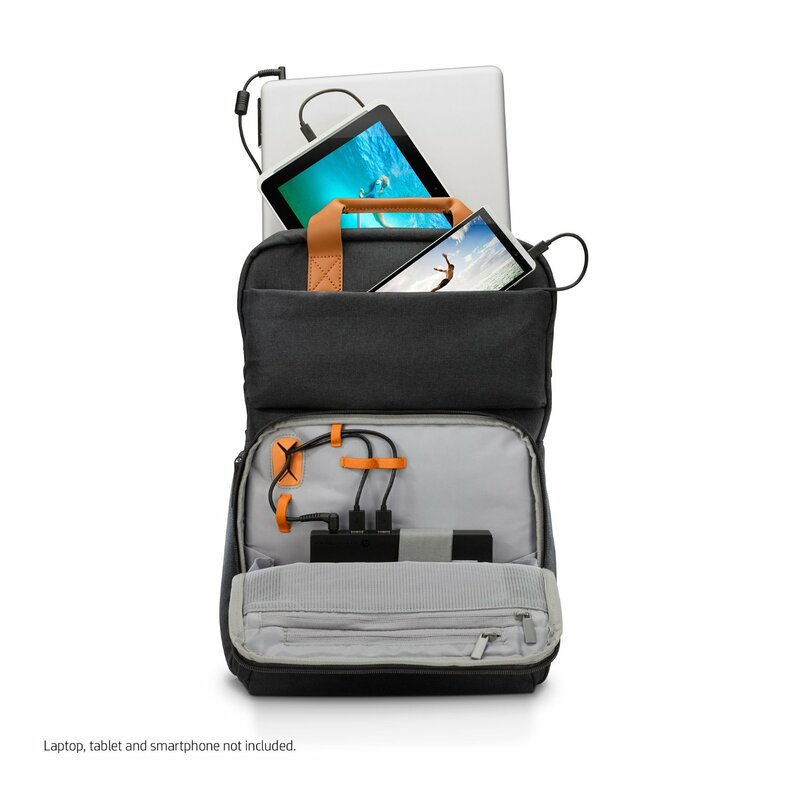 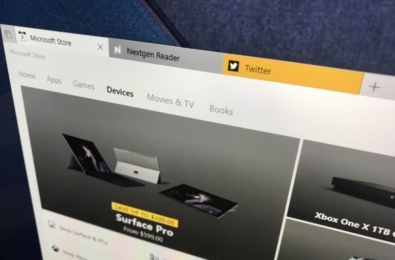 With power priority, you control the order in which your devices charge. 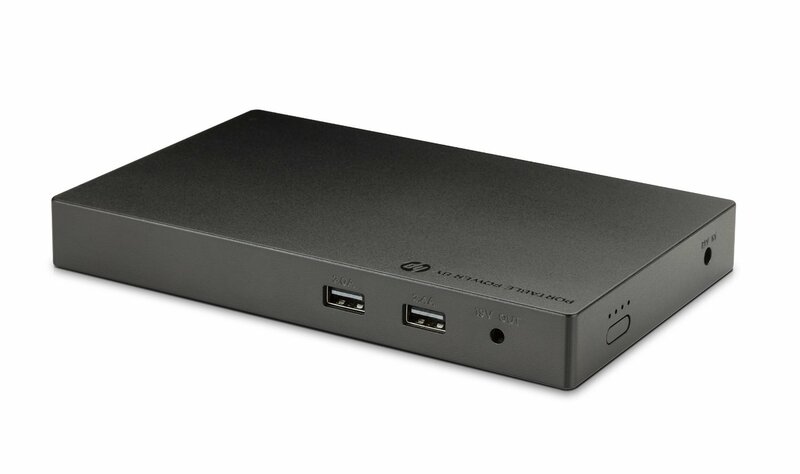 High-capacity 22400 mAh battery: Provides a full charge to most HP laptops, charges a tablet up to three times, and a smartphone up to 10 times. 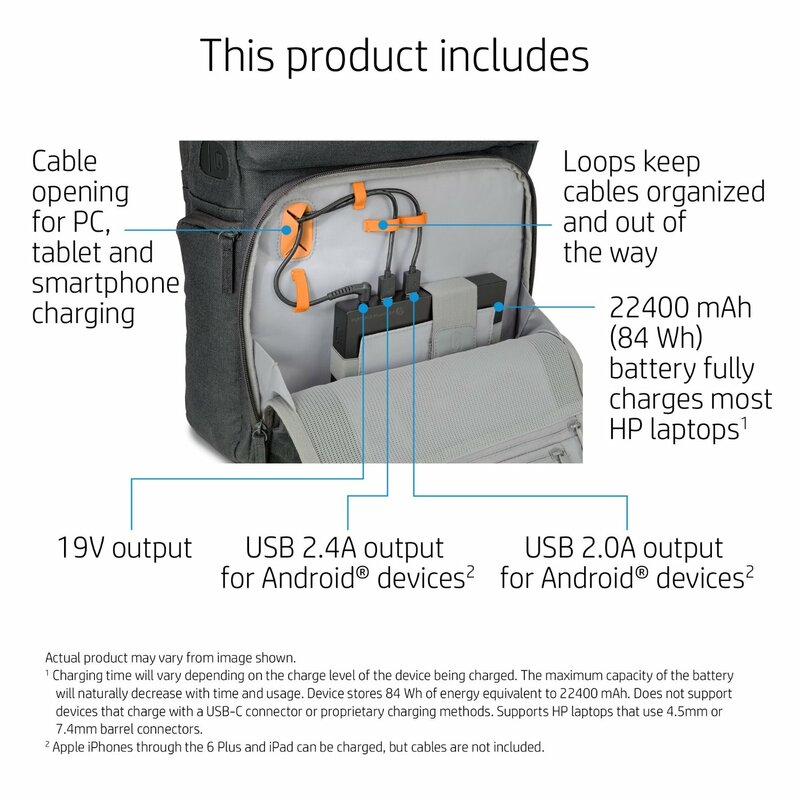 Laptop and USB micro cables included: Two USB micro cables for Android® devices and one laptop cable included. 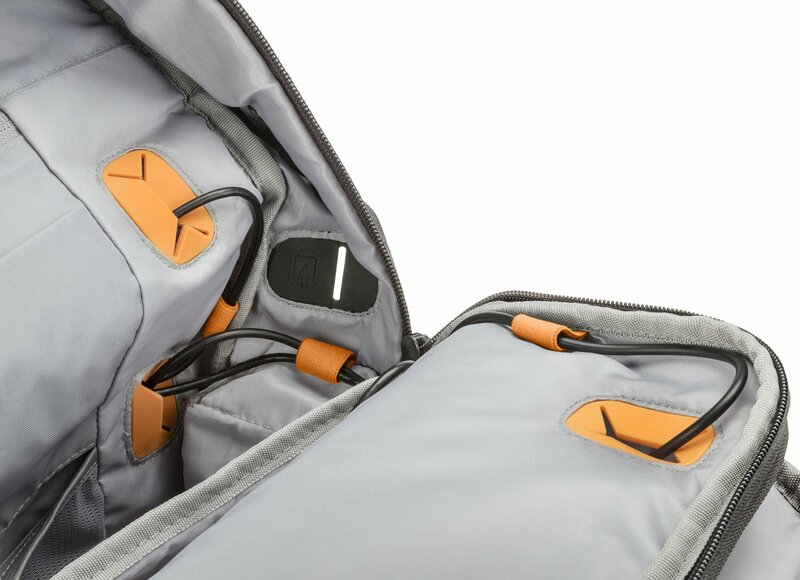 Easily recharge your backpack with a side-pocket plug-in.